Do you need a mobile marketing strategy for your company? The Use Of Mobile Devices On The Internet Is BOOMING! And the vast majority of websites are not even optimised for mobile. The opportunities in this arena are EXPLODING! Take a look around. Everywhere you go you see people conducting business on their smartphones. We use them to get our news, check the score of the game, see what the stock markets are doing. We use them to play games and listen to our favourite tunes. And most certainly, we use our smartphones to find products and services that we need. 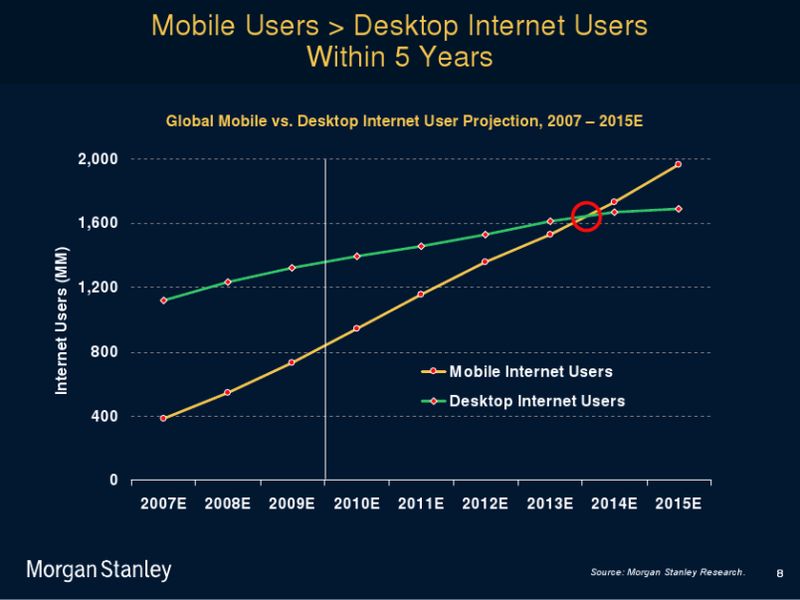 So you probably won’t be surprised to discover that Mobile Internet Use has surpassed Desktop Internet Use according to Morgan Stanley Research. 48% of users say they feel frustrated and annoyed when they get to a site that’s not mobile-friendly. 52% of users said that a bad mobile experience made them less likely to engage with a company. 48% said that if a site didn’t work well on their smartphones, it made them feel like the company didn’t care about their business. When they visited a mobile-friendly site, 74% of people say that they’re more likely to return to that site in the future. 67% of mobile users say that when they visit a mobile-friendly site, they’re more likely to buy a site’s product or service. Another reason why Mobile Marketing is crucial for your business! It allows you to promote your goods and services to people based on their personal information, personal interests and even location. Think about it… You can even promote your business in apps that your prospects use and games that they play. It’s a booming trend with many budding advertising avenues. And just so you know, Google is now giving more prominence to mobile sites in the search results. 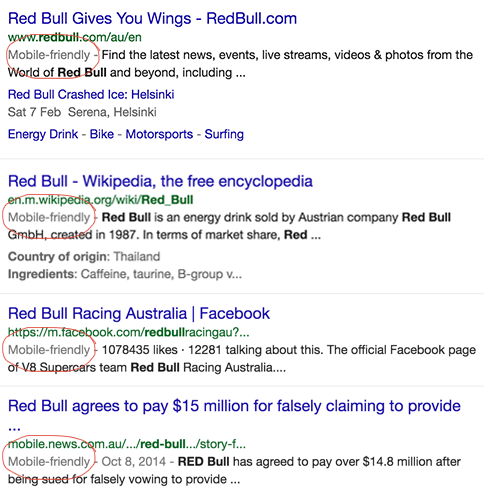 But also, Google will be labelling which sites are mobile friendly right in the search ads. It means that you need to get your website up to date and Mobile Ready ASAP or you are going to continue to miss out. It’s not that complicated if you know what you’re doing. The first thing I would do for you is analyse your website structure to ensure that your site is mobile responsive. Once your site is Mobile Friendly, we can discuss a Mobile Marketing Strategy that will give you the best bang for your buck. At a bare minimum, you need to have a mobile responsive website. If you don’t, I guarantee you are losing customers (AND SALES). Entering a site that is not optimised for Mobile devices is like walking in a store that has just experienced a severe earthquake or fire. Once you enter, all you want is OUT! So send me an email and we can set up a free consultation so I can help you begin to capture the Mobile Business that you’ve been missing out on.